[Via Satellite 06-26-2014] Dauria Aerospace successfully launched two Perseus M spacecraft into Low Earth Orbit (LEO) on June 19, 2014 aboard a Kosmotras Dnepr rocket. These two satellites will co-locate with Dauria’s upcoming DX1 spacecraft and eight Perseus O imaging satellites to form the Perseus space monitoring and remote sensing constellation, which will track and monitor vessels in open seas and waterways in the U.S., Canada, Northern Europe and Russia. “Once established, the maritime segment of the constellation will provide valuable vessel traffic information to a range of users from captains and ship owners to coast guard and search and rescue services in the Northern Hemisphere,” said Mikhail Kokorich, founder and president of Dauria Aerospace. Canopus Systems, a California-based affiliate of Dauria developed the satellites. 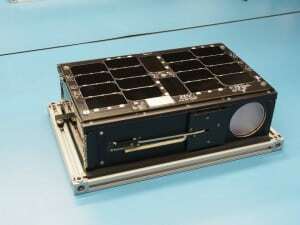 They feature a proprietary microsatellite platform and experimental Automatic Identification System (AIS) payloads. The next segment of the Perseus constellation will entail a DX1 small satellite, which is scheduled to launch aboard a Soyuz 2.1B rocket from Baikonur, Russia in early July. The DX1 satellite was built in 18 months, and will also carry an AIS payload for remote sensing.